­Imagine the ease and convenience of having a knowledgeable crew member to make sure your actors and their costumes look great every night for a minimal cost. No shrunken laundry, no wrinkled actors, good makeup, skilled repairs, and experienced quick change hands. *Note that a wardrobe crew does not replace a skilled makeup or hair designer. They keep that makeup and hair as accurate on closing night as it was on opening night. ­Wardrobe personnel hired to run your production by CAMP will likely be interns as we will expect all Costumers working in the Atelier to have experienced all aspects of the costume process. 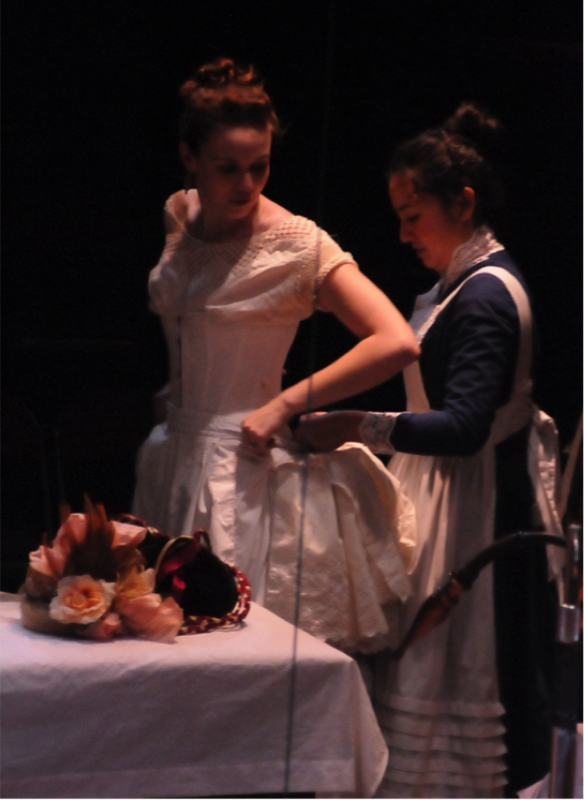 ­Productions can choose from different levels of wardrobe care from as the interns work their way through the atelier. These interns will be trained in basic costume maintenance to advanced hair and makeup skills. Responsibilities are broken down by time commitment and skill level. Again, dressers at any given level will posses all of the skills of dressers beneath them, but are not necessarily geared to take the place of a trained makeup or hair professional. If specialty hair or makeup design/execution is needed, it will be contracted and taken from the production budget.